MINNEAPOLIS, Minn. –– Viridian Weapon Technologies is showcasing the FACT Duty™ Weapon-Mounted Camera (WMC™) at the 61st Annual Conference of the Texas Police Chiefs Association (TPCA). The convention is taking place at the Galveston Island Convention Center in Galveston, Texas, April 16-17, 2019. Attendees will have an opportunity to discuss and sign up for a no-cost FACT Duty WMC Testing & Evaluation program at booth #320 and can take advantage of an exclusive show special during the conference. Headquartered in Minneapolis, Minnesota, Viridian Weapon Technologies is devoted to applying cutting-edge technology to design compact, powerful self-defense products for the civilian, military and law enforcement markets. 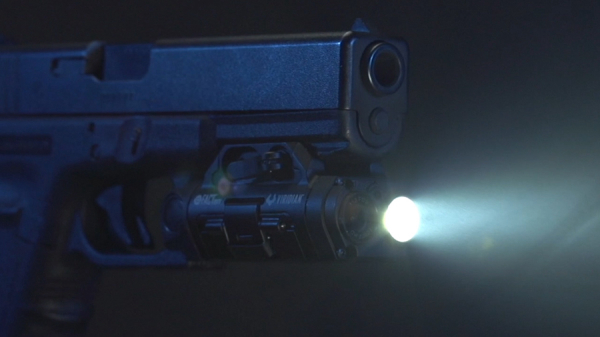 Viridian is the leader in weapon-mounted technology and responsible for a number of firearm innovations including green and red laser sights, LED weapon-mounted illuminators and several shooting accessories including the TacLoc®Holsters. Viridian products are designed and built in the USA. More information is available at ViridianWeaponTech.com.